For many children, ball games, board games and toys are passed. In many cases, laser tag is the game of choice for kids of all ages in the country. Laser tag is an arcade-style game. It involves tagging opponents with laser beams emitted by handheld infrared devices. Although the game became popular in large shopping arcades, it is suitable for playing outdoors too. As such, if you want your kid to spend some time in the outdoors, introducing the child to laser tag could be a great idea. 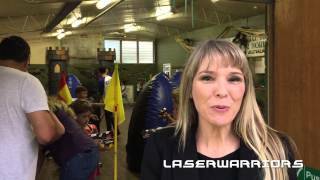 What Are Some of the Ways by Which You Could Tailor Laser Tag Games to Suit Kids of Different Age Groups? Children who love sci-fi, will easily succumb to the charms of laser tag. Laser tag will easily ensure that your child does not spend several hours playing games on their mobile phones or laptops. It will encourage your kids to be active, even while having a great time outdoors. The game does not only promote a spirit of teamwork. It encourages kids to exercise their brains as well as their muscles. Are You Looking for Creative and Novel Party for Kid’s Birthday Ideas? Organising a kid’s party can be quite strenuous. 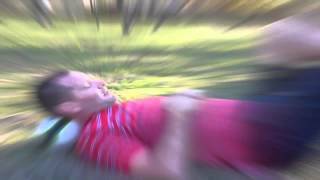 But, you could save yourself a lot of time and anxiety by throwing a laser tag party. 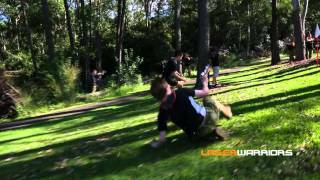 At Laser Warriors, we offer the best laser skirmish in all of Sydney. We feature some of Australia’s most experienced professionals. In addition, we have the latest laser tag equipment as well. Together, these form a potent combination that can give your children a memorable and enthralling experience. 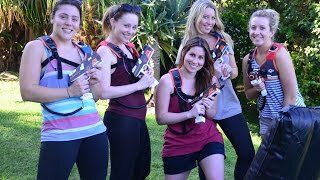 Since 2011, we have been setting up laser tag parties in various outdoor locations such as the North Shore, Macquarie Park, the Eastern Suburbs etc. 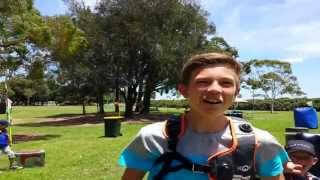 To know more, call us at 1300 LAZERTAG.